There is a long history of French Supercross that begins with Jean-Michel Bayle’s ill-fated first main event twenty years ago at Anaheim ’89—he landed on a hay bale off the first triple and finished dead last—and stretches right through last Saturday night’s victory by Christophe Pourcel. In the time between, the land of liberte, egalitie, fraternitie, tricolours has turned out more stars than any motocross racing nation besides the U.S.A. itself, which makes sense because the sport was invented here! But the French affair with AMA Supercross really begins with Jacky Vimond, the stylish and classy 250cc World MX Champion of the mid-eighties who often wintered in California while preparing to race the Grand Prix circuit in Europe. 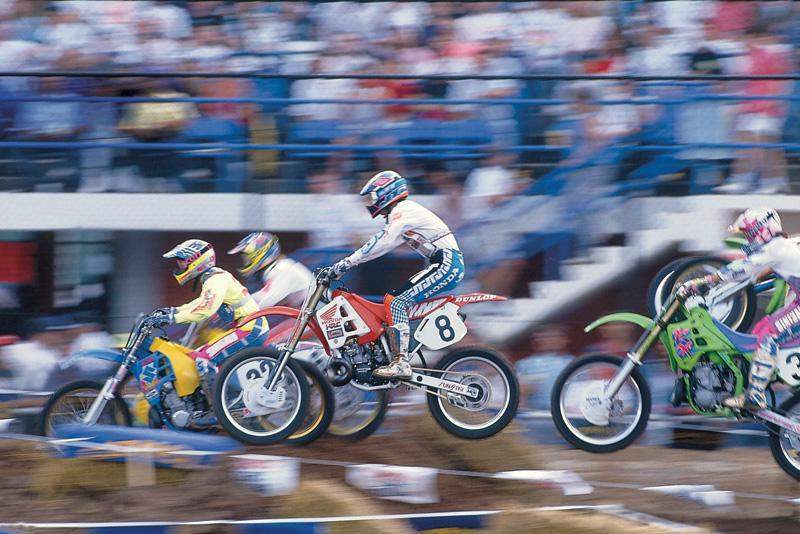 Vimond was an early proponent of stadium motocross racing, a generation of French riders benefited. He is also a fixture at the annual Paris-Bercy Supercross, which helps whet the appetite of American supercross racing by importing top stars from the states, and adding some Parisian flair. Of course Bayle was the best and brightest of the French invaders. 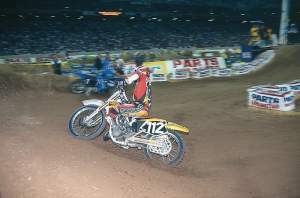 After that dubious debut, he learned the American style of racing in a hurry, dominating the circuit in 1991 with the AMA Supercross Championship. But then JMB lost interest seemingly as quick as he came on, and after drifting through the ’92 championship with his focus firmly on going road racing in 1993, he still somehow won three races. 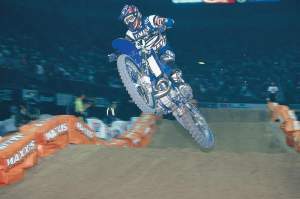 Next was Mickaël Pichon, and he was a dominant force on the 125cc Supercross circuit in the mid-nineties. His place in SX history is as the first Frenchman ever to win a 125cc main event here (Bayle went right into the deep end of the premier class). He would add a pair of East Region championships as a Pro Circuit Kawasaki rider. While he never won a 250 main, Pichon would set the mold of most Frenchmen to follow—including Pourcel. Stephane Roncada was next to land here, riding for the Honda of Troy team, winning mains on the #122 CR125. 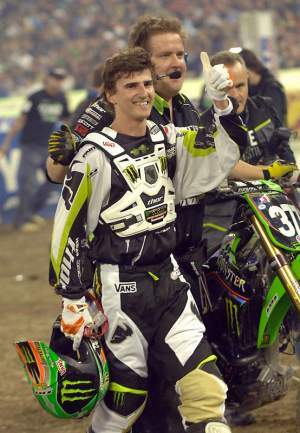 When the team switched to Yamahas, he made a seamless transition, taking the 2000 East Region title over Travis Pastrana. Like Pichon, he would not be able to transfer his success to the bigger class indoors (Pichon did go back to Europe for a couple of world motocross titles). Maybe the most versatile of the French SX riders was Le Cobra, David Vuillemin. He came over in the late nineties while still racing GP motocross, learning the craft while wintering in California. He won multiple races in both divisions, though a title was never in the cards. 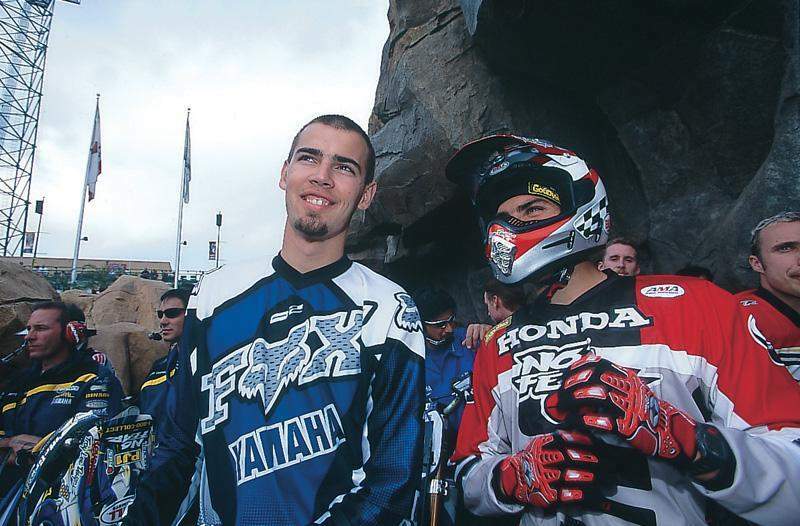 From 2000 to just last year, DV12 was a staple on the AMA circuit, building a sizeable following along the way. He’s now back in Europe, racing for the BUD Racing Kawasaki team. 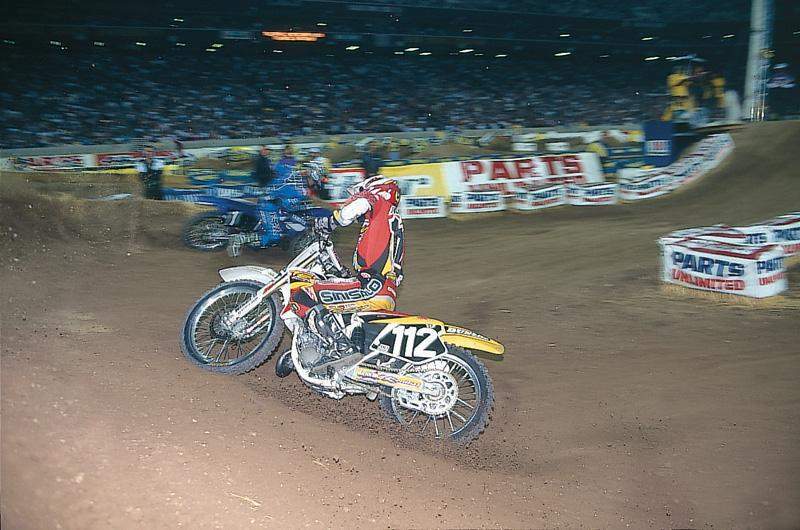 Sebastien Tortelli might have had more success here had he been allowed to race in the 125 class. An old AMA rule that stated that past world champs could not ride the 125cc class, so Tortelli—a two-time world champion—had to go right in with the sharks. 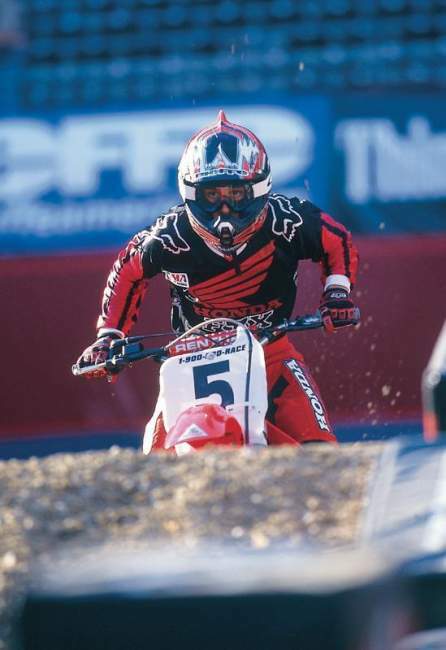 He did win the muddy 1998 Los Angeles Coliseum opener, but SX would not be kind to the highly-respected Tortelli. 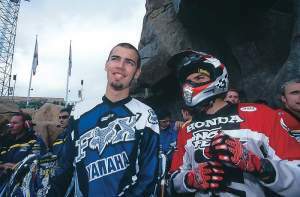 From Roncada’s 2000 title until Pourcel’s this past Saturday night, there would be no other Frenchmen break through here, though we did almost see another one win a race. 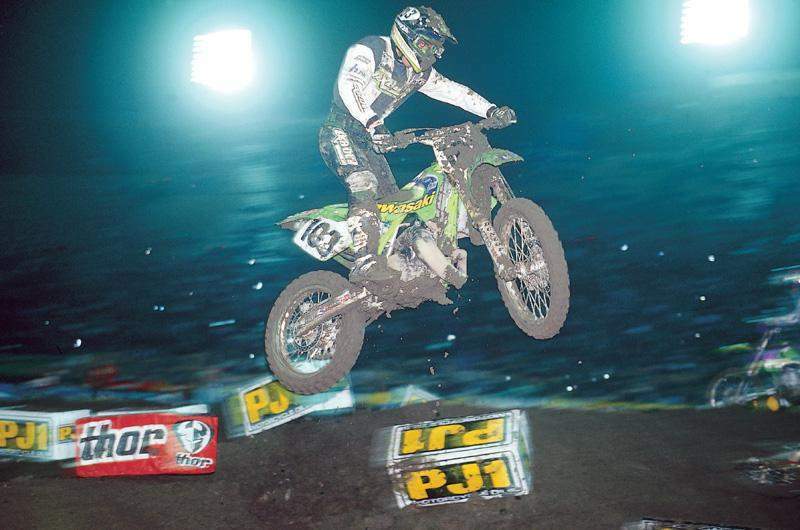 At the ’02 Anaheim opener, Rodrig Thain had a shot at the main event win, only to get rammed from behind in the last set of whoops in an all-or-nothing move by Chris Gosselaar. Eric Sorby would also get close many times, but he never quite made it to the top step. Will there be more? It appears very likely. Pourcel’s older brother Sebastien has his sights set on America, as does Gautier Paulin, winner of the rain-drenched Italian GP opener on Sunday. Paulin was circulating the pits at the Anaheim opener, shaking hands and checking out the Monster Energy AMA Supercross circus. So here’s a tip of the visor to the French, who have built their own legacy in Monster Energy AMA Supercross, and to Christophe Pourcel for his job well done.